We are located in the heart of North Park on 30th and Upas, between Mosaic Wine Bar and Lefty’s Pizza. As a lifelong artist, I am dedicated to the progress of my work. I am constantly critiquing my technique and quality of my tattoos and paintings. I strive to create the very best tattoos possible. 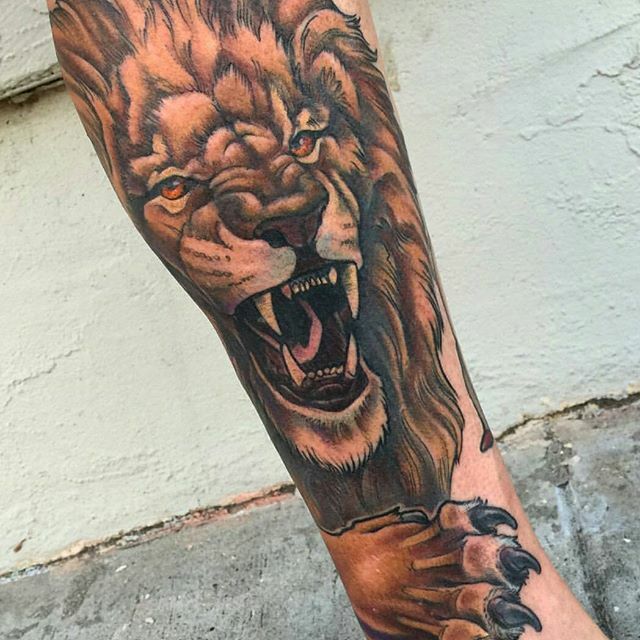 I tattoo with a wide range of diversity and try to cater to all types of tattoo ideas and styles depending on what my San Diego tattoo clients want. I believe everyone should have an amazing tattoo that they will love for the rest of their life. Too often I see that people are not happy with their tattoo for a number of reasons. I try to combat these mistakes that people repeatedly make by developing a quality image that works well as a tattoo, and within the perimeters of the client’s ideas. I am dedicated to providing the best tattoo available. With the growing popularity of tattoos, there is a wide spread epidemic of new tattooers, and tattoo shops that are ill equipped to providing quality body art. I strongly urge people to be cautious of these places. Get a great tattoo, one that you absolutely love. I am currently working at Remington, a premier San Diego tattoo parlor and gallery in the North Park area. Come in and check out my work and talk about your ideas.